A self standing carnival midway tossing game board. 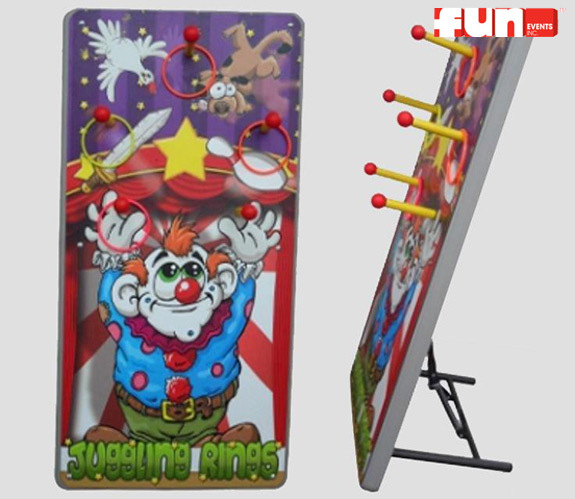 Your guests try to get as many large plastic rings into the juggling clowns throwing pattern. The more hooks you are able to successfully ring, the better the prize you will win! This is a fun game rental idea!